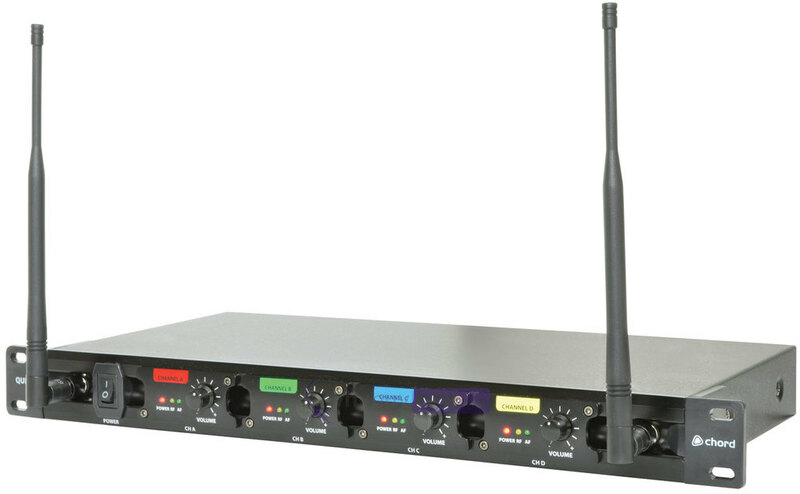 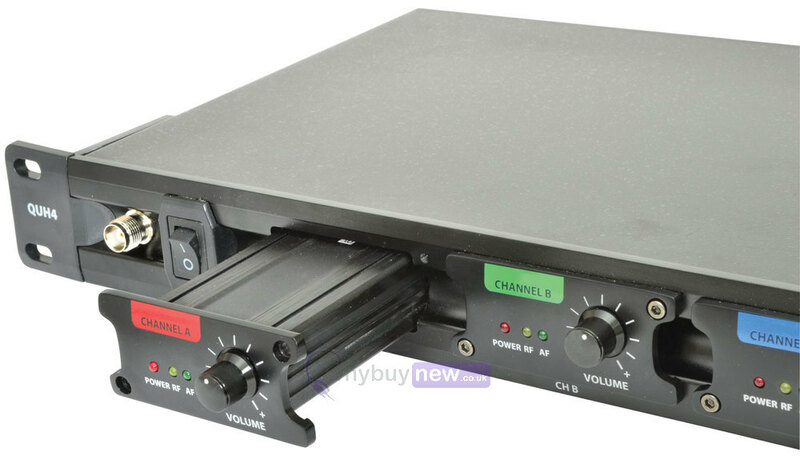 The Chord QU4-H Quad UHF Wireless System features a 19" rack-mountable receiver with 4 individual UHF channels and a colour-coded handheld transmitter for each. 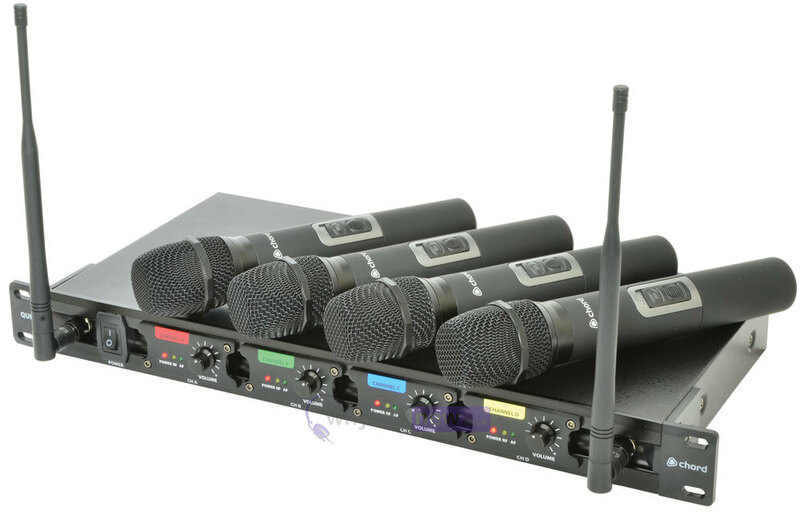 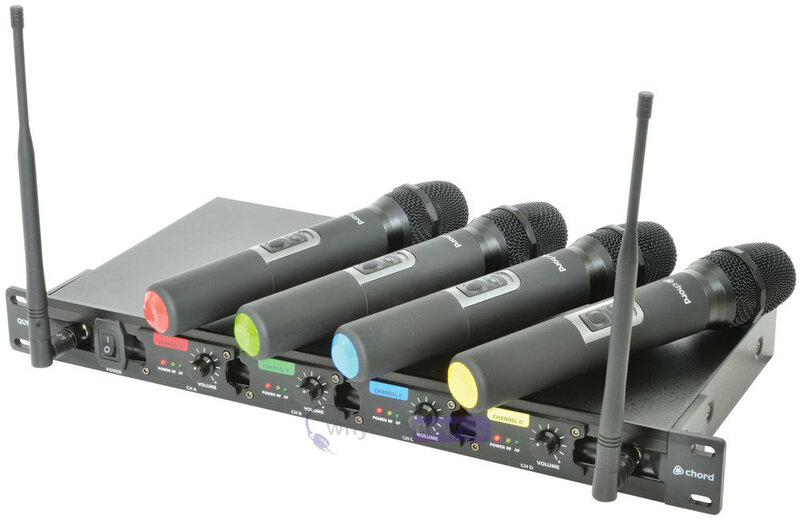 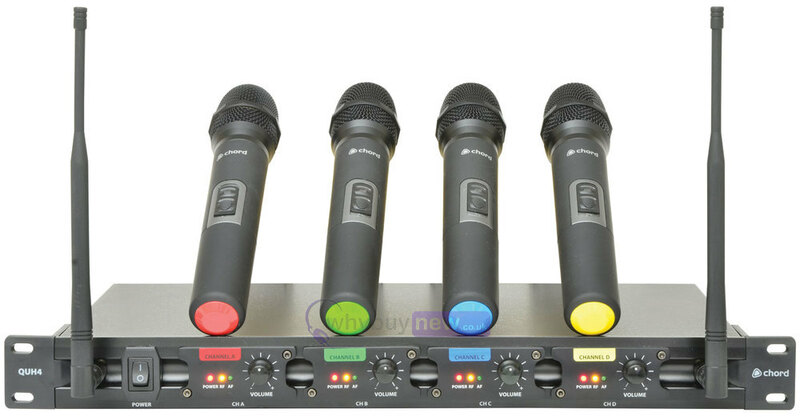 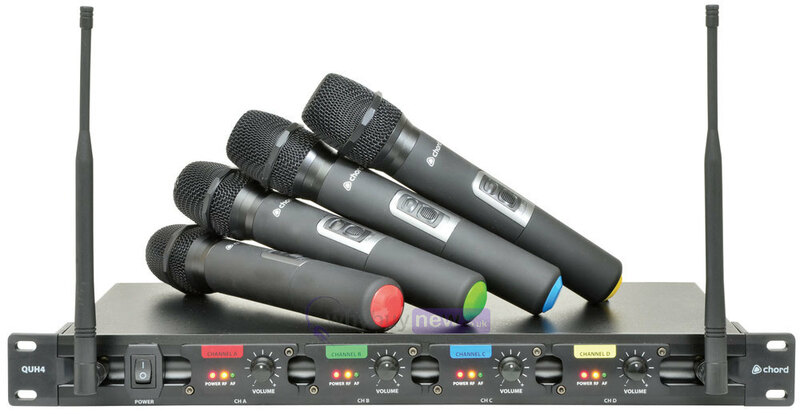 With 4 separate XLR outputs or a mixed jack output, it is ideal for use in vocal groups, theatre productions and presentations. 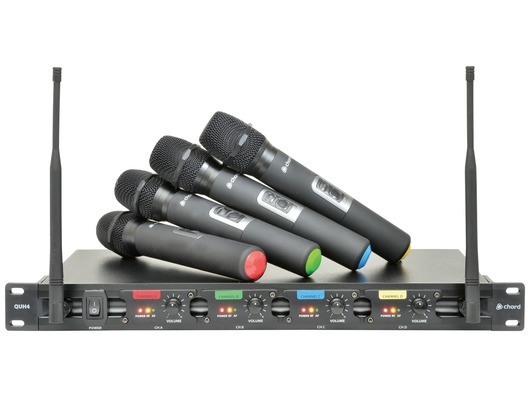 Additionally, its robust construction makes it durable and reliable.